Twenty years ago I was an underemployed 23-year-old with artistic urges who enjoyed mail-friends. I fell into zines like a duck takes to water. 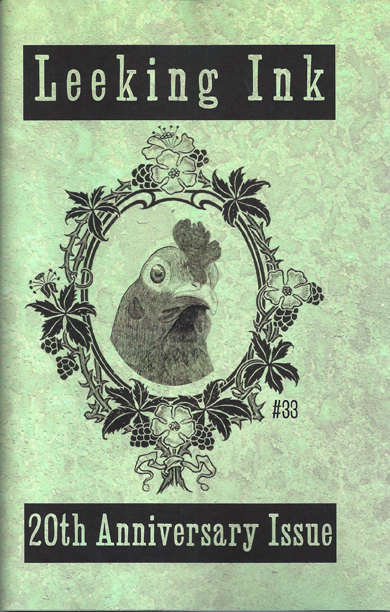 2015 marks 20 years since my first zine, Slow Leek. 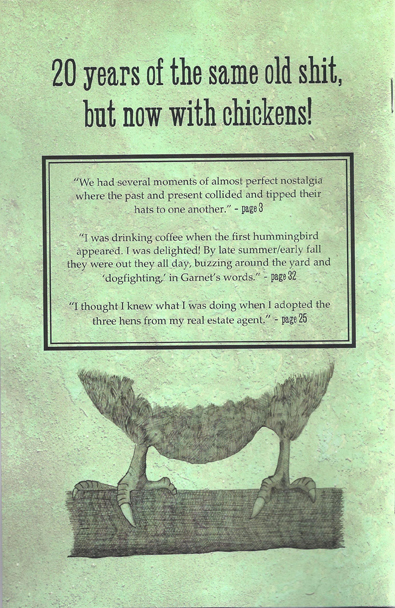 It was a traditional, poorly written first per-zine, well, as much as a non-traditional art/communication form can be traditional. In the introduction of the first issue I clearly state, "I fully admit I don't know what I am doing and what the outcome will be." I still don't. Then, as now, when I don't know what I am doing I go right ahead and do it anyway. Results vary. 2015 turned out to be one of those years where every month offered a monumental change or challenge. It was an overwhelming year. It was an amazing year. The ups and downs were relentless. There were so many wonderful small moments and some nights that went on for forever in the worst ways. The last issue of Leeking Ink was a close look at a single week. This year required a wider view. I'm still processing everything and all the changes. This issue is essentially vignettes of the year. One of the biggest changes was moving from a cramped rowhome in Baltimore City to a house on an acre of land with wide-open skies to the south. The house has inspired me in many ways. I started writing many of these articles in my head while working on the yard, making repairs, and cleaning up. In a way, Leeking Ink is still the same zine I started in 1995. But now I am an over-employed 43 year old with artistic urges, who still enjoys my mail-friends, and who is still trying to figure it all out.